Playing a little more with the just bought Rigol DS1074S-S, now PC control over USB. Their UltraScope looks very poor, for instance how do I set the cursor? 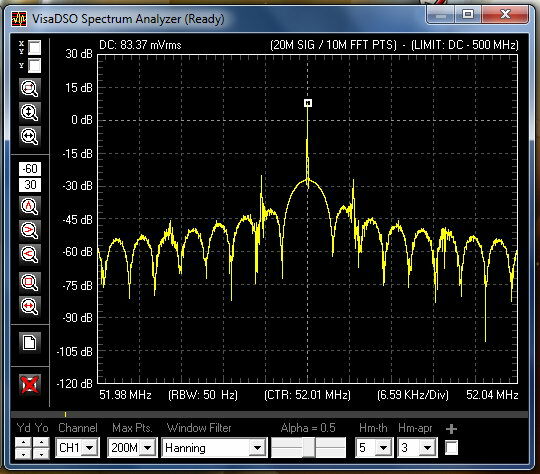 I have a Picoscope 3206D MSO, I don't really like their interface but you can do pretty much anything you want. Do I miss something about Rigol? It's not that you missed something but maybe your expectations aren't realistic for the amount of money you spent. The DS1054Z provides a National Instruments VISA interface to the outside world. You can use any VISA-compatible software. The software supplied by Rigol isn't terribly good. Well, getting cursor to work over the remote interface isn't exactly high expectation... or is it? maybe your expectations aren't realistic for the amount of money you spent. (sorry... but this is what you are going to hear whenever you encounter bugs or have other complaints about the Rigol scopes. "They are cheap, what did you expect?" seems to be the standard answer whenever someone finds a bug, a non-functional "feature" or a difficulty in use for these scopes. Wondering how slow it would be ran under VMware on a Windows machine. Does DSRemote allow setting cursors? I can't remember. It does work quite well for general remote control of the scope, but I can't recall if it works for controlling the cursors. I won't really need a remote control software, it's just that text being too small. With such a small screen one would have expected VGA output to be an option. I'm still not sure what your point is when you keep repeating this. Should we expect an oscilloscope with built-in screen and control knobs and enough processing power to do all the screen updates work as well over USB as a dedicated USB oscilloscope which cost 3 times as much money? Maybe it's just me but ... that seems unrealistic. Is it also a deep design flaw if my $50 multimeter doesn't work as well as a Fluke 87V? I won't really need a remote control software, it's just that text being too small. With such a small screen one would have expected VGA output to be an option. Thanks, I will give it a go today and see how it goes. Here we go again. 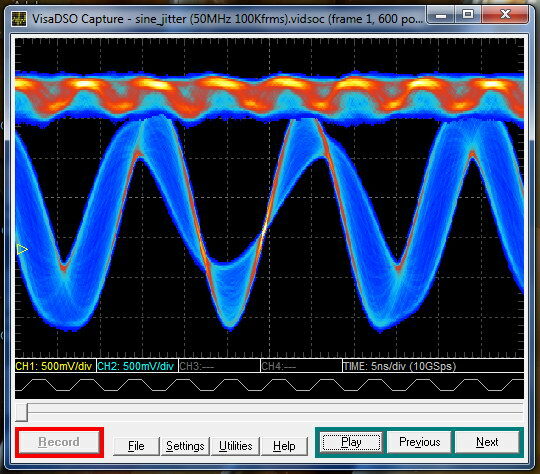 Out of interest, how much more are you willing to spend so that Rigol software can be the same quality as Keysight? Why didn't you spend it? Are you surprised when your generic cola isn't Coke? Anyone naive enough to expect the software options on the Rigol are going to be top shelf is kidding themselves. How does the software compare for all the scopes with similar specs and price? You bought a cheap scope, in my opinion the best value for money anywhere, so get over it. Mecha, the setup package is not signed, I take you wrote the software? If it's your company then investing £100-200 and get a code signed cert is going to help a lot. Trying it out anyway. It says can't connect, any tips? and visa32.dll is included in the install package but will not automatically installed. you need to copy it to windows\system32 yourself if you think necessary. this App is designed for no-visa32 mode ie for importing CSV/WFM files only. Non-rigol users who capable to produce compatible CSV files also may utilize this SW, thats one of the purpose..
and tips: you may want to read the start-up tutorial. there maybe some aspects you need to know first. for rigol users, its in app install folder\tutorial\02_rigol.vidsoc..
you may also want to look for sample files in \sample\ so you can comfortable with file formats supported by it, and can be used to see how some features are used such as level grade and FFT. Where should I see that 'no visa 32' message? There is no status bar. I can run Ultra Station and have installed the NI drivers. Now, 32 or 64, no idea, system is 64 bits. Yes, it's the MSO model. Never mind, it's on sale section and it will go on Ebay if the guys at the store don't want it back. It works and have something like measurement tool, not exactly a cursor but probably usable. thats called "Ruler" , its in the tutorial file, but as you've discovered, left-click-hold and drag on the signal view will show it up... click on one spot to deactivate it... to autohide after mouse click up... click menu "settings -> autohide ruler". the flashy red color was choosen so it will not buried in the channels colors. its measures time span, freq of the time span (1/T), and Vamplitude of each visible channels and show in the floating note. you can drag an move around the floating note FWIW..